Spring mesh support in seat and back. Luxurious crumb-filled cushion with half panama weave and piping. 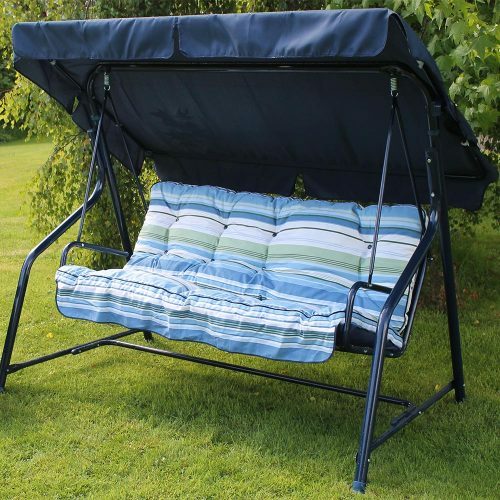 This three seat luxury hammock has been finished with piping to give the hammock a more upmarket look. 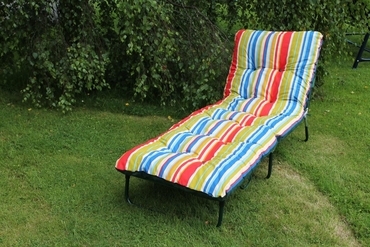 The fabric used in our luxury hammock is a stronger half panama fabric. 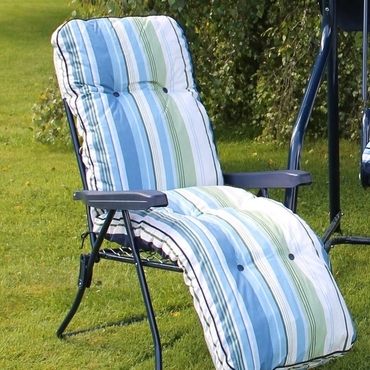 The piping and the fabric add a more luxurious feel and look to this product. 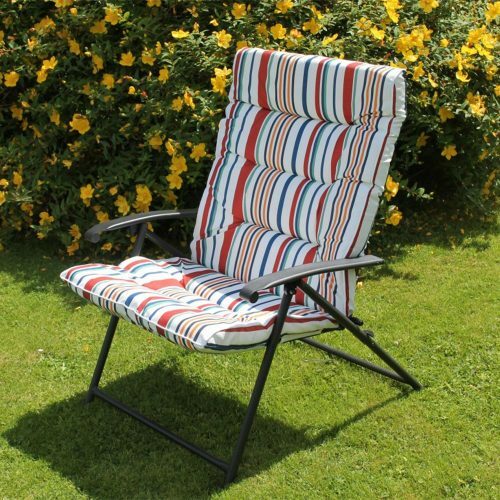 Like all of the outdoor furniture in our tubular steel range the cushions are crumb filled and extremely comfortable. 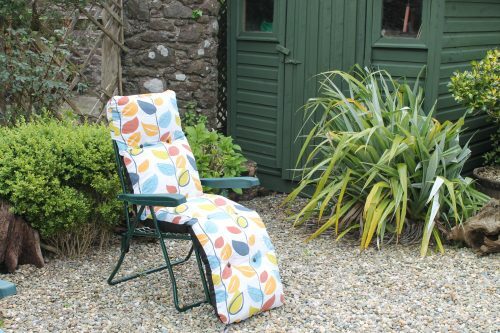 The fabrics used throughout our range are all fire retardant and comply with fire and safety regulations.